Bend UpStyle specializes in trendy, high quality new and custom furniture for every room in your home. The showroom on Greenwood Avenue in Bend has an ever-changing selection of modern, vintage, rustic, craftsman, and mid-century modern pieces that will complement any décor. Bend UpStyle features pieces from local artisans as well as from brand names including STYLUS, Michal Amini, Night and Day, Coaster, Porter International, The Scott Brothers, Abysson Living, Yosemite, Donny Osmond. 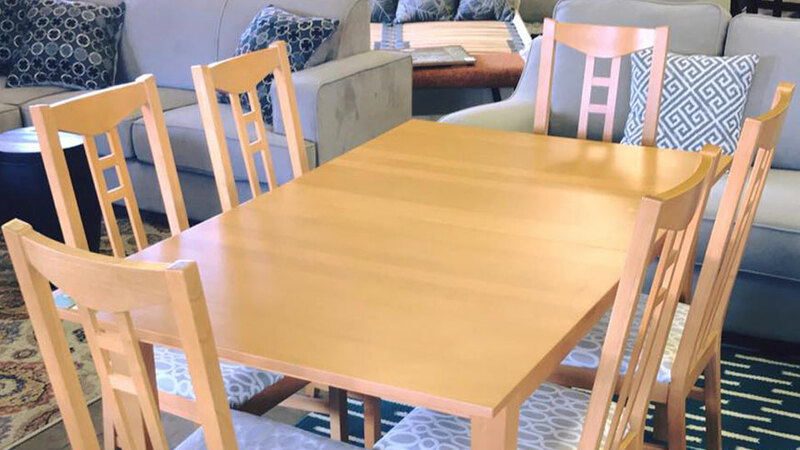 If you have pre-owned furniture or home décor you no longer need, you can sell it to Bend UpStyle for cash, consign it or even trade it in and get credit toward your new furniture purchase. Dreaming of a new space but not sure how to make it happen? Bend UpStyle’s furniture design experts will sit with you and help turn your furniture and decor vision into reality. Design services are free of charge with any furniture purchase and consultants will help you create a plan suited to your lifestyle and budget. If you don’t see the perfect piece in the showroom or warehouse, Bend UpStyle will happily place a custom order for you. And when your new furniture arrives you can take advantage of convenient, affordable delivery in Bend and around Central Oregon. For fresh furniture styles, visit Bend UpStyle.